Zuri Baby Couture: The Instant Fashion Shop for Babies and Toddlers + Giveaway! It's always nice to have a daughter whom you could dress up. Well, I'm not saying that having a boy isn't nice. I have a baby too! It's just a totally different thing when we are taking care of a girl because we would think about their shoes, hairbow, accessories, bags, and all! To be honest, having a daughter is indeed like having a real and alive baby doll. I just enjoy buying clothes and making accessories and hairbows for her too. We also wear matching clothes from time to time because twinning is fun! My daughter is now 7 years old and we still buy a lot of kikay stuff for her. The only difference is that she gets to choose what she wants now unlike when she was a baby when I can put on anything I want as long as it looks cute- and comfy! I'm currently pregnant with another baby girl and I'm so excited to dress her up! We are expecting to welcome another daughter next month. Of course, in preparation for that, we are in the lookout for clothes and other baby stuff. I'm just so blessed that I found Zuri Baby Couture where I got two sets of beautiful clothes for my baby! Aside from their beautiful designs, they are high quality and both come with cute baby booties. I always love boots even for my eldest daughter. For sure, booties would look great on my baby too. 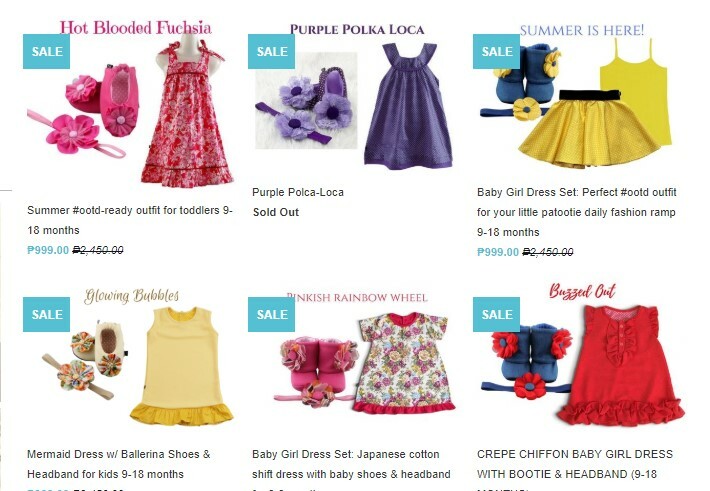 The company sells premium quality clothes, shoes and accessories for babies and toddlers. They have a variety of sets that you can choose from. If you think they are only selling clothes for baby girls, you are totally wrong. They have some onesies and shoes for baby boys too! Apart from their online shop, they also aim to gather mommy communities all over the country with its well-loved promotions which include social media engagements, monthly contests, weekly giveaways, and sales activities. All their products are well-planned based on the personality of our little ones. They also use quality and fine materials like hypoallergenic elastic bands and soft fabrics. These are all perfect for our baby's sensitive skin. The company is owned by a Filipina and a mommy, Hershey Morgan who is also the creative chief director of Zuri Baby Couture. It began in 2013 when she had her baby. Good news to moms in other areas around the globe! THey ship internationally since it is under the fashion house of Genesis Logistics Marketing and Technologies Pte Ltd. They also have branches in United Kingdom, Indonesia, Malaysia, and France. Their manufacturing team is based in Manila and Jakarta. I was given the opportunity to choose which products I'd love to review. With the help of my daughter, we choose the Don't Take Your Yosemite for Granite and the Velvet Teddy set. Since we love booties, we opt for the ones that come with it. However, there are a variety of sets available on the website. There are tutu sets, onesies, and many more! If you are looking for barefoot sandals for your baby, these are available with a matching hairbow. The dress is nicely made with a design that would be perfect for our little loves. The design is not too girly and not too simple. This is great so that she can wear it on any occasion or even just for her OOTD. Its fabric is soft and it feels comfy which means that my soon-to-be daughter will not feel hot or uneasy while wearing it. 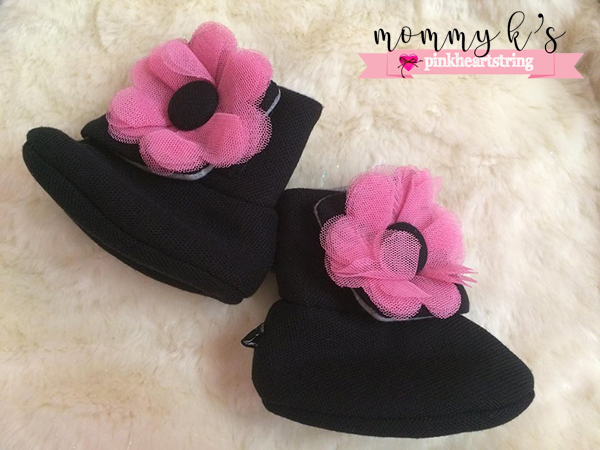 The hair bows are so cute with flowers that match the booties! I can just imagine how lovely these would look like when it is worn by my baby. Imagine that tiny head with soft little hairs accentuated by these stunning hairbows! And now my favorite of all- the booties! Of course, these are not for walking but it would definitely look adorable on my baby. It matches with the hairbow and it looks really nice with the dresses too. Another good thing about these booties is that you can pair it with onesies and other OOTDs. If you want to take a look at other sets from Zuri Baby Couture, head over to their website and you will surely find it hard to resist the urge of buying one because everything is so cute! Another good thing about Zuri Baby Couture is their great customer service and easy to access the website. Their customer service personnel can answer your questions via web live chat. They also have a wide range of payment options which includes bank deposits, money remittances, credit card, PayPal, Dragon Pay, and even CODs. They also offer free shipping and you can avail of discounts especially when you buy their sets! You will definitely love browsing their website because aside from the pretty products, they also have a user-friendly website. You can simply choose the category you want by product type or sizes. You can also easily access their discounted items and featured products. If you want to get regular updates on Zuri Couture's new products, promos and more, you can download their app from Google Play or the App Store for Apple users. 3. Subscribe to Zuri Baby Couture and be a ZuriVIP which will give you the chance to avail of a 10% discount or get some freebies. You can still claim your free calendar from Pink Heart String by subscribing to my newsletter. 4. Share this image on Facebook or repost the giveaway image on Instagram. 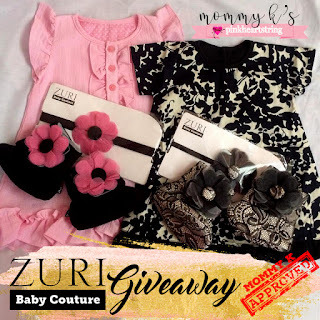 Use #MommyKPHSGiveaway #ZuriBabyCouturePHS as your hashtag. Please make sure that your post is public so we can easily track your entries. 5. Comment DONE on Facebook or Instagram after you followed steps 1-4 and tag three of your mommy friends. 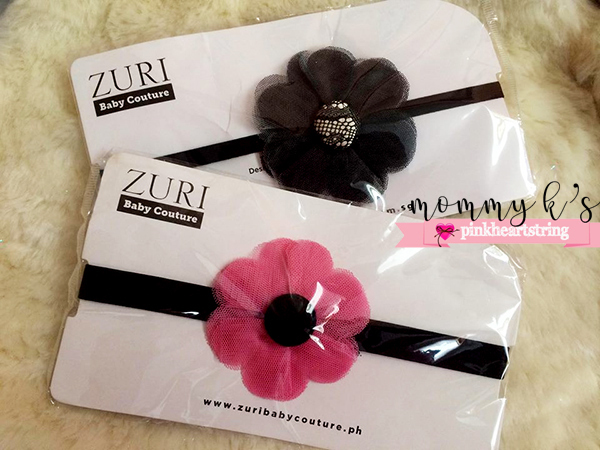 Use #MommyKPHSGiveaway #ZuriBabyCouturePHS as your hashtag. Please make sure that your post is public so we can easily track your entries. 6. You can also get another entry by sharing this blogpost: http://bit.ly/zuribabycouturereview Comment your name and email address after sharing. So, what are you waiting for? Join now! Giveaway ends on March 25. Foot problems in children impact millions of families around the world each year. Whether your child plays sports or is struggling with a broken or bruised bone, foot pain in children can be hard to detect, especially if your child is unsure of how to communicate the issue they are experiencing with you. Knowing how to properly identify common foot problems and signs your child may be exhibiting is a great way to address the issue once you make a concerted effort to seek out a podiatrist for children who specializes in foot and ankle injuries or surgeries. If you notice that your child is unable to walk alongside their peers without becoming extremely tired and fatigued, it may be time to monitor their walking style and habits. Children who have flat feet are much more likely to feel the strain of walking at a fast pace, even if they are otherwise fit and healthy. When a child has flat feet, their muscles quickly become overworked, making it increasingly difficult to maintain a fast walking speed. Flat feet, which is one of the most diagnosed foot problems in children, cause muscles in both the legs and feet to feel tired quicker as they are not properly functioning for long-term walking or exercise. If your child once loved physical activity and partaking in sports as a source of joy but no longer has an interest in participating, they may be experiencing foot pain or muscle trouble. When children withdraw from activities and hobbies they once loved that demand physical exercise and exertion, a heel pain issue may be the root cause of the issue. Oftentimes, injuries to the foot or increased pain throughout the foot muscle occurs between the ages of 8 and 14. If your child once took pride in working out and physical activity during activities and sports, they may be experiencing inflammation throughout their muscles or a weakened section of their heel from overuse and overexertion. 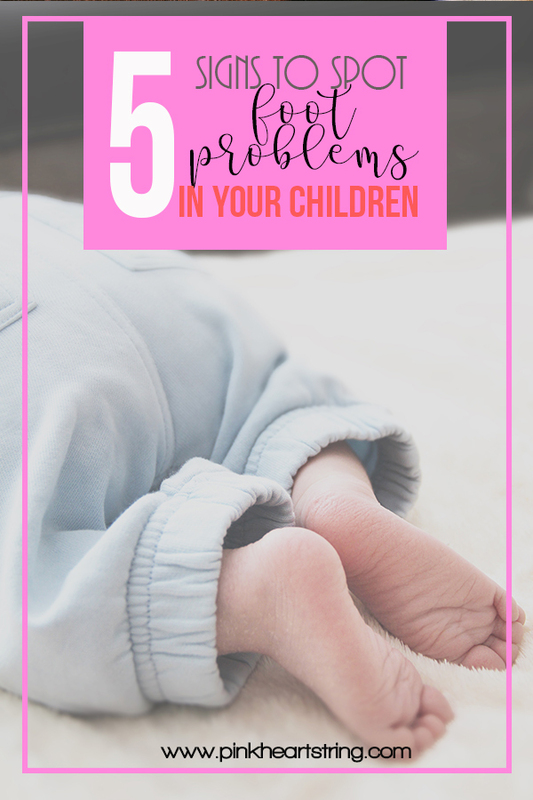 Children have a tendency to be clumsier than adults, which is why it is not uncommon for your child to trip periodically, especially if they are not always aware of their surroundings. However, repeated tripping and falling may not simply be clumsiness, but may indicate a balance issue your child is experiencing. Neuromuscular conditions lead to feeling off-balance and unable to walk or stand upright, which can later lead to more serious foot and ankle problems that require invasive surgery if not properly addressed and treated as quickly as possible. 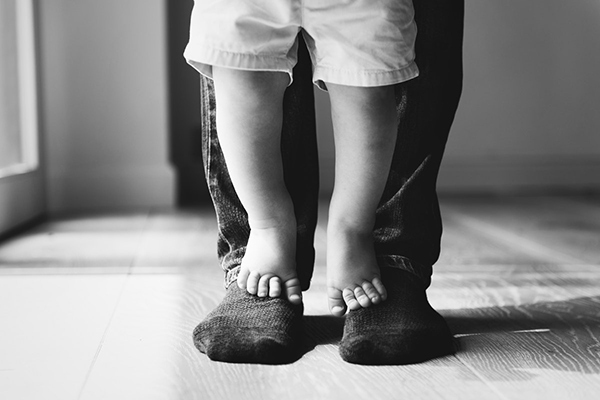 When your child avoids showing you their feet or attempts to refuse to show their feet, they may have noticed a change in their appearance or overall structure. If your child feels self-conscious about their feet, they are less likely to speak openly about the pain or changes they are experiencing. You won't often hear a child complaining of foot pain. In some cases, children may be fearful of visiting a doctor, prompting them to avoid speaking up about any changes or pain they see and feel on their feel. Check for any changes on your child's feet such as indications of ingrown toenails, redness, discoloration, or even new growths and harsh calluses. Children do not regularly experience foot pain, which is why it is important to address your child's concerns anytime they express pain in their heels or other areas of their feet. If your child's foot pain lasts for more than a few days, make an appointment with a local children's podiatrist. 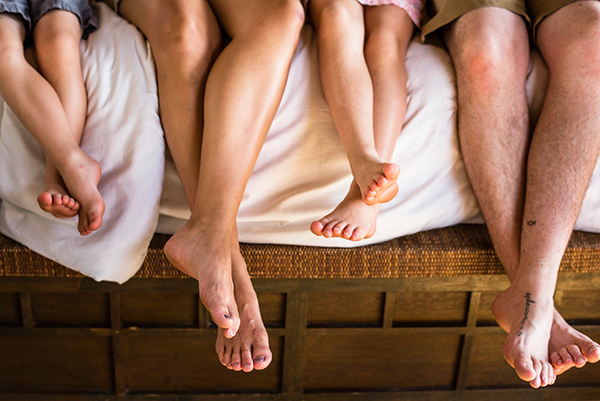 Understanding the basics of children's feet problems and how to spot a potential issue with your child's feet is essential to prevent long-term damage or the inability to walk correctly as they continue to age into a teenager and adult. When you know how to identify and address foot problem in children, contact the right podiatrist for children to get the medical care and treatment necessary for a full and complete recovery. Traffic Jam Weekend Blog Hop! Gail chose How to Get Paid to Work Out and Lose Weight with HealthyWage by Piggy Bank Principles. "Everyone likes to get money and need to exercise too." Sonni chose Youtube Comments - even The Stairwell gets Flamed by The Stairwell Carollers. "I manage an online newspaper for the book community on YouTube. I am often surprised at some of the negative comments and shady comments disguised as being helpful that I see on creators' videos. Interesting to read that it happens in other communities on YouTube as well." Evelyn chose Irish Lamb Stew by Kippi at Home. 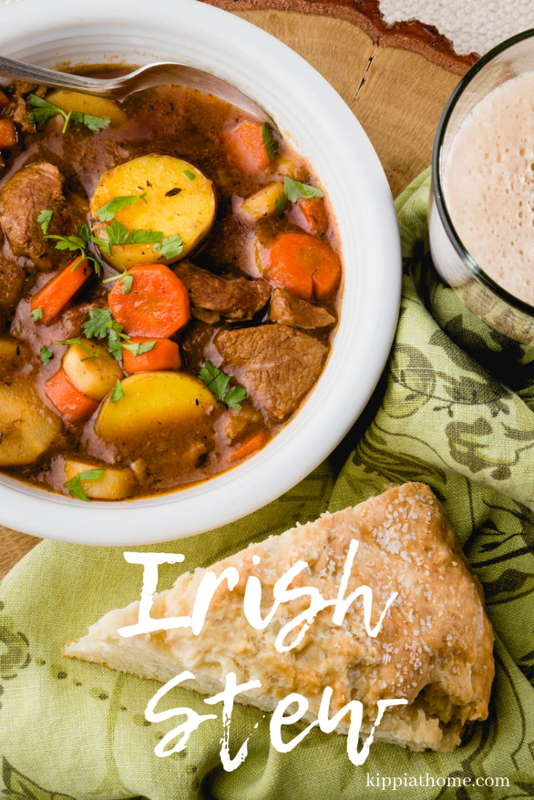 "Perfect to fight the chill and celebrate Irish heritage." Tracy chose Loaded Nacho Chicken Tostada by Ever Ready. "I am a huge fan of Mexican food. This would be a nice change up from my usual Mexican fare. My family will love it!" 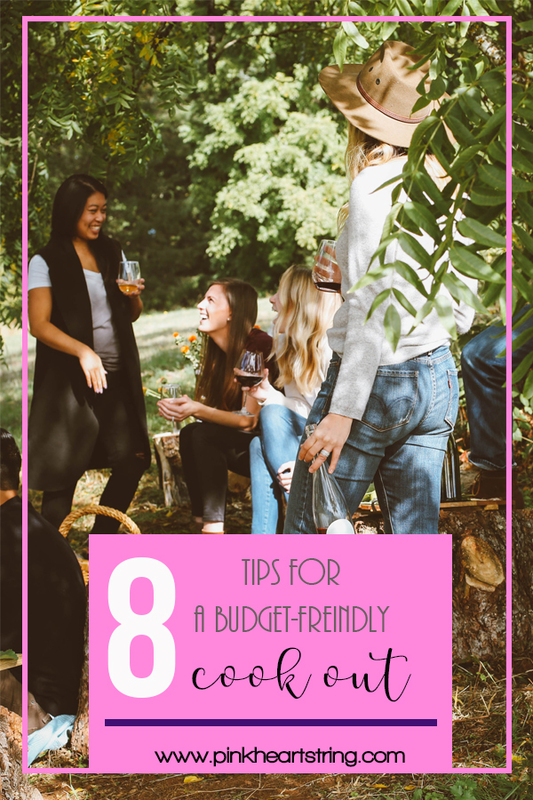 Kimberly chose 5 Simple Tricks to Help You Save More Money by A Hippy and a Redneck via a guest post on Fluster Buster. "Wonderful tips that you probably haven't thought of." 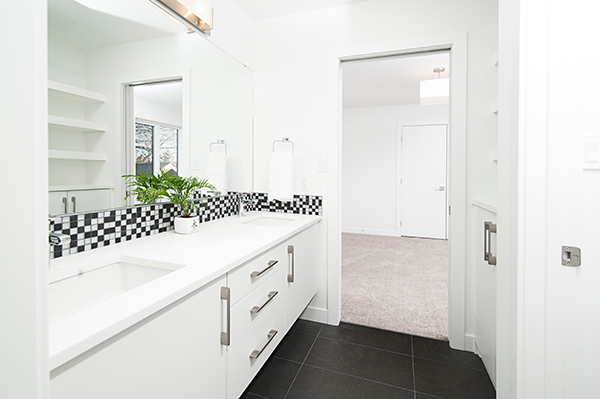 You might have built a guest bedroom in the basement and would like to provide the luxury of an en-suite bathroom, yet before doing anything, there are a few aspects to bear in mind when creating a bathroom below ground level. Installing a bathroom below ground level will require a water pump, plus additional drainage, yet this is all doable. Make sure you explain to the plumber what you plan to do, and he will give you his opinion, plus a quote for doing the work. 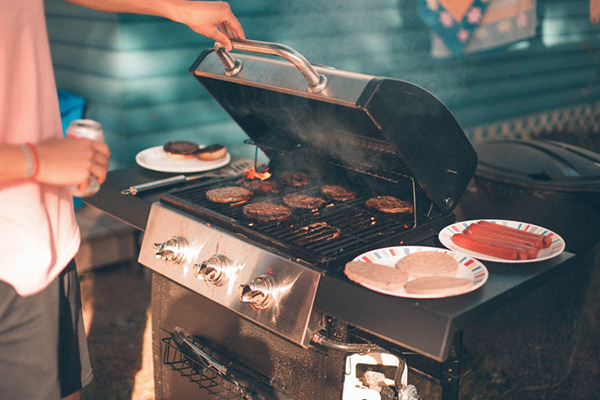 You will need to add one waste and one water input connection, and both have to be hooked up to your plumbing system. 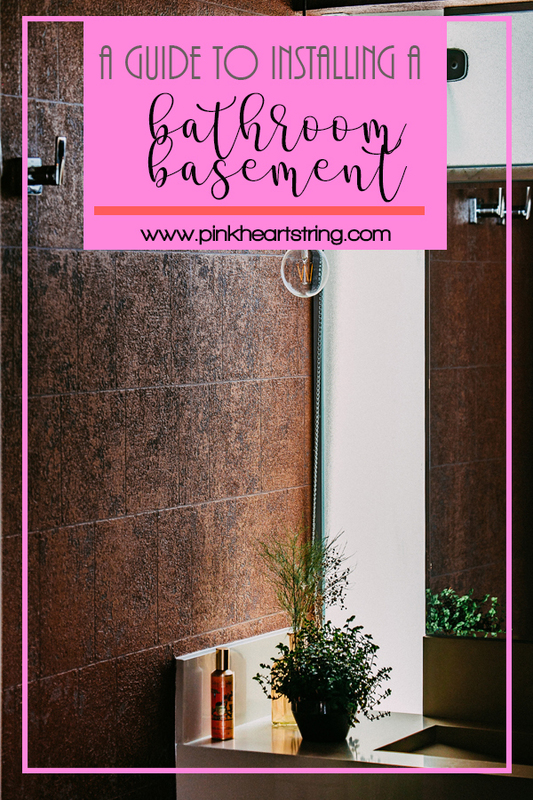 Check out articles on how to plumb a basement bathroom, as it can surely help you gain more information on this matter. Rather than hooking up to your hot water supply, choose an on-demand hot water shower, of which there are many. Browse the impressive catalogue of Grohe showers online, where you can buy everything you need for the conversion, and with a range of stunning shower screens, you can create a bathroom that matches the bedroom. It really isn’t a good idea to install a bath in the basement bathroom, and with a digital shower unit that creates instant hot water, you do not need to connect to your existing hot water system. Aside from using a lot of energy, it is a lot of wastewater to remove in a short time, which could put pressure on the drainage, and from an eco-friendly perspective, bathtubs are not a good idea. If at all possible, have the below ground bathroom directly above the regular bathroom, which makes connecting up the waste so much easier. 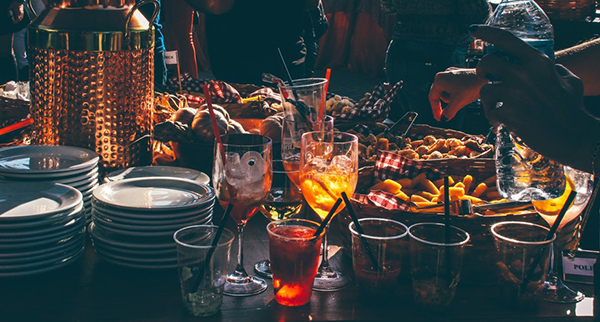 It might be an idea to ask an experienced plumber to take a look at the site, and he can make a few recommendations that will likely save you some time and money. Assuming you have limited space, a corner unit shower would be the ideal solution and plumbing that it is a relatively easy task. The ideal way to provide storage and shelving in the en-suite bathroom is customized cabinets, which allows you to make the best use of available space, and you can easily resize standard shower screen units if you can’t find a precise fit. Once you know what the plumber will charge, make a list of all the materials, which can be purchased online from a single supplier, and you then know the costs for the project. Irrespective of a bathroom location, you should never compromise on quality, and the best shower unit and bathroom vanity names will ensure that your bathroom requires little or no repairs. You may well be rather limited in location choices, and by talking to a local builder, you can get a clear idea of your options. Purchase the items from an online home improvements supplier, and enlist the help of the local plumber, and with his expertise and your improving DIY skills, your basement guest room will soon have an en-suite bathroom.